You Are Following So Not Niche! We probably don't know each other yet, but you took the time to subscribe. How cool are you? I look forward to getting to know you better through both this blog and my newsletter. I hope to inspire your creativity or creatively solve some of your problems. If I can't do that, then I hope to at least make you laugh a little or motivate you to reach for your goals. Watch for monthly (or so) emails with updates, round-ups and free printables, and if you have any questions or comments, feel free to contact me anytime! Thank you for subscribing to my newsletter. Here is your first freebie! 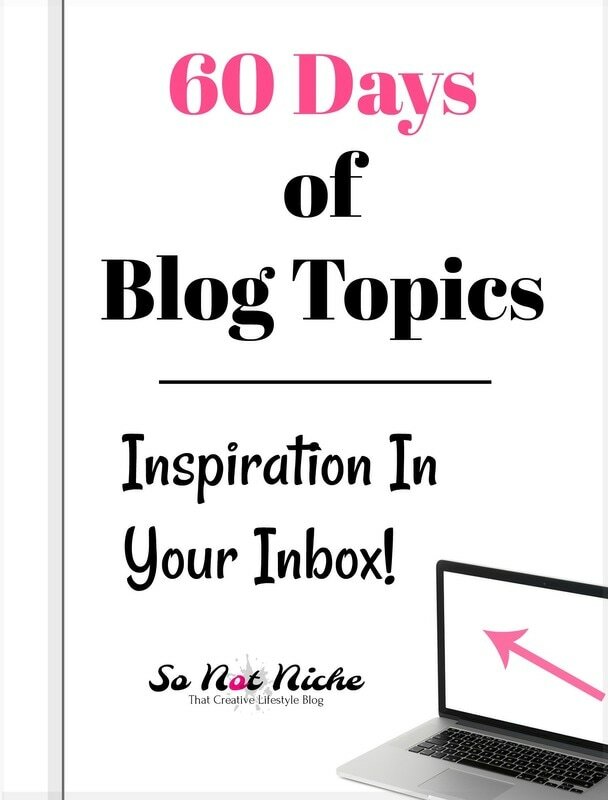 A list of 60 blog topic ideas, and some suggestions for generating new ideas. Click the image below and enjoy!